Generally speaking, the VAT portion of expenditure incurred by a VAT vendor in carrying on its enterprise may be claimed back from SARS when the VAT vendor submits is VAT returns on a periodical basis. Typically, these input tax claims are set off against the output tax liability that the VAT vendor may have. However, it is also often the case that the total input tax claims for a certain period may exceed the total output tax amount payable, resulting in a net refund amount due to the vendor for that particular period. Section 17 of the VAT Act, 89 of 1991, governs the circumstances and the extent to which a registered VAT vendor may claim input tax to be set off against the output tax due to SARS. It specifically addresses those circumstances when goods or services are acquired partly for use as part of the VAT vendor’s enterprise, and partly for purposes of making VAT exempt or personal supplies. In such instances section 17(1) limits the amount of input tax to be claimed to “… an amount which bears to the full amount of such tax or amount, as the case may be, the same ratio (as determined by the Commissioner in accordance with a ruling …) as the intended use of such goods or services in the course of making taxable supplies bears to the total intended use of such goods or services”. “c” = the sum of any other amounts not included in “a” or “b” in the formula, which were received or which accrued during the period (whether in respect of a supply or not). In other words, the calculation referred to aims to limit the input tax deduction to the extent that the expenditure item in question is incurred in the furtherance of the VAT enterprise only. The calculation assumes that expenditure would be incurred by the VAT vendor generally proportionate to the total taxable supplies made by the enterprise vis-à-vis non-taxable supplies. It may very well be that that this assumption is inapplicable based on the facts of the VAT vendor. For example, where a company extends interest bearing loans to customers (thus exempt supplies) while also providing consulting services (a standard rate taxable supply), the above formula may very well be applicable to apportion the portion of input tax claimable on e.g. rent paid on offices and used both to earn interest and consulting income. However, where expenditure is incurred e.g. towards training for employees linked directly to the consulting business only, said expenditure would not be partly incurred for making taxable supplies and partly not, but wholly for the furtherance of the VAT enterprise and thus rank wholly as a claim for input tax. BGR16 itself provides for an alternative basis of apportionment to be applied if a more appropriate basis exists. It should be borne in mind that section 17(1) also only comes into play if there is an apportionment to be made whatsoever. We have noted that SARS is applying BGR16 strictly as part of VAT audits in recent months and even if it may be inappropriate to do so where it is to the disadvantage of taxpayers. Such instances should be monitored and pointed out to your tax advisors when applicable to take up with the SARS auditors timeously. Many would have noted reports in the national media that the Taxation Laws Amendment Act, 16 of 2016, was signed into law by President Zuma on 11 January 2017. One of the many changes that the Act brings into effect is the repeal of paragraph 11C of the Fourth Schedule to the Income Tax Act, 58 of 1962. The provision is repealed effective 28 February 2017, which means that a new regime is introduced for deducting PAYE from directors’ remuneration effective for the 2018 tax year commencing on 1 March 2017. The repeal introduces a new dispensation for the calculation of employers’ liability to pay over PAYE on a monthly basis as relates to directors’ remuneration paid. (It bears reminding at this stage that members of close corporations are deemed to be directors for PAYE purposes too, so the same would apply to members’ remuneration paid from 1 March 2017.) Ironically, the “new” dispensation that now applies to directors’ remuneration is the same regime that has throughout applied to “regular” employees, and these regimes can now be said to be aligned. The purpose of paragraph 11C was to provide for the unique circumstances presented in directors’ remuneration, whereby actual remuneration for directors would often be inconsistent and amount to ad hoc payments decided and approved from time to time. Policy was therefore to have PAYE calculated on a notional amount calculated generally with reference to the actual directors’ remuneration paid out in the previous year of assessment. However, with the introduction of section 7B (dealing with “variable remuneration”) in the Income Tax Act itself in 2013, policy in this regard appears to have changed with National Treasury. If “regular” employees need to account for PAYE on an ongoing basis on variable remuneration (also inconsistent) received, the need to differentiate between employees and directors would fall away and no policy consideration would exist whereby there should be differentiated between the PAYE treatment of variable remuneration received by employees vis-à-vis directors’ remuneration. The reference to section 7B is only relevant to explain the policy change. It is important to appreciate though that directors’ remuneration will likely not form part of “variable remuneration” as defined in section 7B, and therefore PAYE cannot be accounted for merely on an actual payment basis. 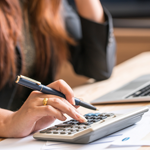 PAYE should be calculated and paid over as and when remuneration accrues to an employee (with the exception of variable remuneration), and likewise to directors now too. 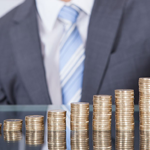 This would be as and when the employee or director becomes entitled to the remuneration, and not only when the amounts are actually received subsequently (as would be the case for variable remuneration covered by section 7B). On 22 February 2017, Finance Minister Pravin Gordhan delivered his 2017 budget speech. The Budget Speech mentioned that, while global growth is slightly better, geo-political and economic uncertainties have increased. Furthermore, SA’s low growth trajectory provides a major challenge for government and citizens. Transformation was a strong theme, following on from President Jacob Zuma’s SONA. Gordhan said that SA needs to radically transform the economy so that it is more diversified, with more jobs and inclusivity in ownership and participation. We need to build the widest possible partnership to promote consensus and action on a programme for inclusive growth and transformation, according to the Minister. R12.1bn, will accrue through “bracket creep”. Taxable income thresholds are usually adjusted to offset inflation; this year the adjustment will be minimal. R4.4bn will be raised through an increase to 45% in the marginal tax rate on income above R1.5 million. This will affect about 100 000 taxpayers. R6.8bn will be raised through the hike from 15% to 20% in the dividend withholding tax. R3.2bn will be generated by a net 39c per litre increase in the fuel taxes. R1.9bn will come from increased excise duties for alcohol and tobacco of between 6% and 10%. 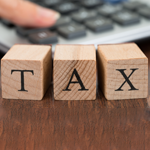 A new top personal income tax (PIT) rate of 45% for individuals with a taxable income above R1.5 million. The tax rate on trusts (other than special trusts which are taxed at rates applicable to individuals) will increase from 41% to 45%. An increase in the dividend withholding tax rate from 15% to 20%, effective 22 February 2017. Please contact us should you have dividends to declare. Click here to download a summary of the 2017 Budget.